Pedal desks are the next frontier for ADHD treatment, and with at least 1-3 students with ADHD in each classroom and a move towards bringing more movement into the classroom for all students, pedal desks in the classroom is an idea worth embracing. My dream is to have what's happening at Massey Street Public School in Brampton, Ontario be the norm at all schools. Students in a grade 3-4 split class there are involved in a pilot project this year whereby traditional desks are being replaced with bicycle desks, bean bag chairs and wiggle stools. They also get regular yoga and dance breaks. The most remarkable aspect of that classroom to me, are the bicycle desks or pedal desks as they've come to be known in a handful of schools who are trying them out in Canada and the U.S. Remarkable because I've seen the bean bag chairs and the wiggle stools and yoga and dance breaks. Pedal desks are the next frontier and with at least 1-3 students with ADHD in each classroom and a move towards bringing more movement into the classroom for all students, pedal desks in the classroom is an idea worth embracing. "I think this approach can be a very effective and practical strategy for a child with ADHD," says University of Toronto professor, scientist and author John Cairney. "What I really like about it is that the child can be physically active without having to leave the class." 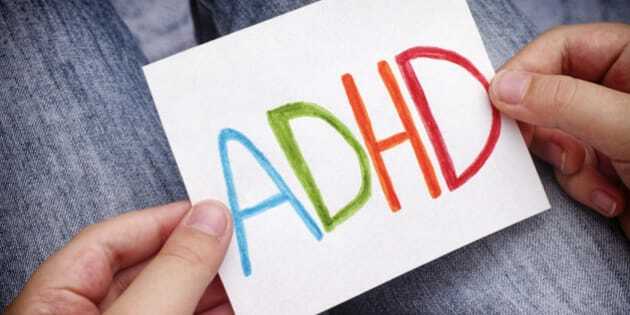 While a lack of physical activity doesn't cause ADHD, nor can any amount of physical activity ever cure a child with ADHD, (a neurological often genetic disorder of the pre-frontal cortex of the brain), studies show it can help. "It causes children to be less impulsive and more receptive to learning," says Michael Quinn, a special education teacher and researcher in Dublin, Ireland currently working on a doctoral thesis on physical activity and children with ADHD. Michael explains that physical activity contributes to increased levels of dopamine in the brain, having a similar effect of ADHD stimulant medication. "While medication is widely used in the treatment and management of ADHD," says Michael, "there is a growing body of evidence supporting physical activity as a potential treatment strategy for ADHD." Michael points to a Canadian study published in the Journal of Attention Disorders in 2012 which shows that "participation in a physical activity program improves muscular capacities, motor skills, behavior reports by parents and teachers, and the level of information processing" in children with ADHD. Another Canadian study published in the same journal this year found that stimulant medication and aerobic exercise both act on catecholamine pathways, concluding that "aerobic exercise may be a useful non-medication adjunct therapy for ADHD", and that it warrants further study. Cairney explains that often children with ADHD are given permission to move when they feel they need to, but have to leave the class to do so. I can attest to that. My daughter has to leave the classroom three times a day with an Educational Assistant to go to a sensory room for a break. I wonder if she had a pedal desk, if she would be able to stay in the classroom and not miss any instruction time. "This disrupts learning and can be stigmatizing," says Cairney. "Cycling is active and the child can still participate in the learning block"
Unfortunately, the bikes cost an average of $1650 each and I haven't heard of any plans by the Ontario government to bring them in to all schools anytime soon. A teacher in North Carolina installed bike pedals under her students' desks. "We had students who almost did no work and they started working," said Mario Leroux, a teacher in Laval, Quebec who brought the bicycle desks into his classroom. "We had students who had trouble understanding the teachers' instructions and when we put them on the bike they were able to listen."